St Michael's Church, first mentioned in 1185 and with a tower described by Pevsner as 'modest and pretty'. What catches your eye when approaching the church is the large WELCOME sign above the door. You will also get a warm welcome smile from the vicar, Sue Starkey, who came to Willington Twelve years ago through God's calling. Coffee Mornings - First Saturday every month we hold a coffee morning in the Village Hall. We welcome anyone to join us for a drink and a chat. There are various stalls: selling greetings cards, Books, Bric a Brac, clothes rail, home made cakes for you to enjoy, occasional raffle. Accompanied children are welcome to come along too and take part in activities between 10am and 12noon. We now have a Library held in Church on the first Wednesday of each month. We have over 600 books for you to choose from all set out in separate sections. There is no charge, just choose your books and return them at a later month. You can also enjoy a drink/biscuit and a chat with your friends. Having our new facilities in Church has allowed us to offer this service to the community. 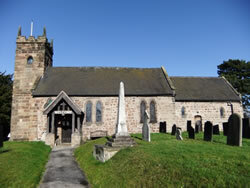 Thanks to grants from the Cooperative Community fund, S.D.D.C, Tarmac, Willington Parish Council and generous donations from people in the community we now have a toilet facility within the church and refurbished kitchen/vestry. There is also a flexible seating area in the North Transept. 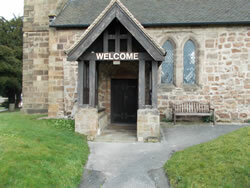 This area is available for use by other small groups wishing to meet in the church. Please contact us via our contact page if you need more details.